FREDERICK Chiluba weaved his way to become Republican President because he believed in democracy and mature politics that goes beyond tribalism and regionalism which we must emulate, MMD president Felix Mutati has said. Speaking in Luapula yesterday during the Provincial conference at which a new provincial team was ushered in yesterday, Mr. Mutati said the MMD was founded on strong democratic principles which had been passed on from Dr. Chiluba’s reign and warned party members against being copycats by emulating the bad vices propagated by other political parties. “Dr. Chiluba believed that there can be no sustainable development without democracy and since then, the MMD has never believed in an individual, tribe or region but in the principles of democracy. He believed that the MMD belongs to all and It was the resilience of the people from Luapula that won him the presidency,” Mr. Mutati said. He paid tribute to the party populace for not buckling under pressure in the run-up to the 2016 convention which made him party president and advised members to concentrate on party mobilization. “Have you ever seen me going to court? I have never gone to court because I believe that my role is to lead the party. O left all court cases in the hands of our national secretary Raphael Nakacinda to deal with because my preoccupation is to lead the party because you gave me a mandate to do so. “I thank you because at the time that people wanted the party to be mere spectators on the political scene due to the confusion that came about, you refused to succumb to that pressure and you went to Kabwe and chose the leaders you wanted to lead the party. 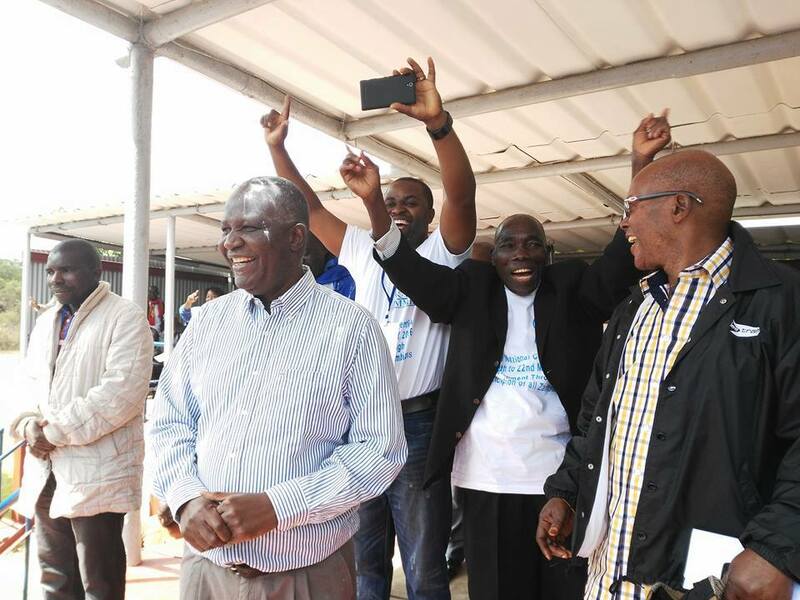 Our main objective now is to mobilize the party and we decided that Luapula should be the first province to have a provincial conference and an executive because you are the bedrock of MMD,” he said. And speaking when he addressed over 600 Catholic youths drawn from Zambia, Malawi, and Zimbabwe who are attending the Salesian youth conference at Don Bosco primary school, Mr., Mutati said politicians must be embarrassed that they are using youths as tools for violence. He said it was more embarrassing that politicians were investing so much energy in attacking one another at the expense of service delivery to the people that voted for them. “It is actually embarrassing that we use you as tools for violence. What is more embarrassing is that we are wasting so much tome quarreling against each other when we are supposed to be finding solutions to service provision for the people who put us in power. What you should be doing when we incite you engage in violence is that you must just be laughing at us. Maybe that is the only way we will stop,” he said.